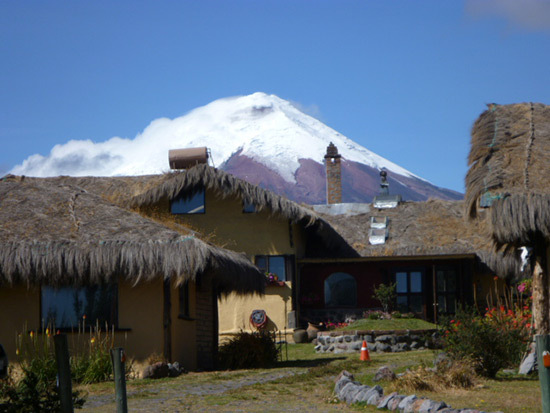 If you arrive Quito in the morning, in the afternoon City tour in Quito’s colonial old town, including museums and churches (aprox. 4 hours)..Overnight in the hotel. 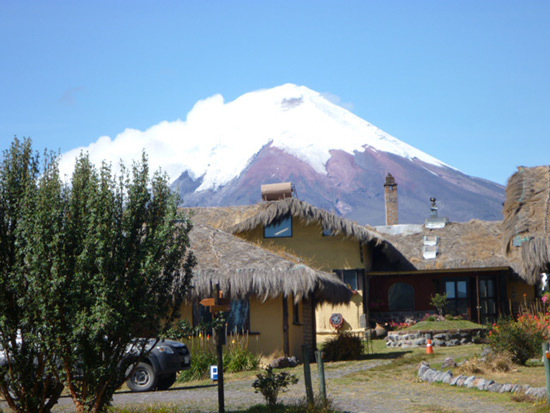 The trip starts at 7:00 a.m., we will drive south from Quitotowards the city of Ambato (8,858ft/2,700m) through the Avenue of the Volcanoes for about 3 hours, then we’ll head southwest to the Chimborazo`s reserve entrance for 1 hour. 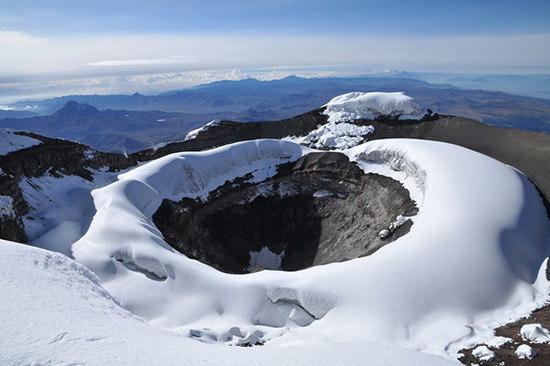 Finally we’ll drive for another 20 more minutes to Hermanos Carrel refuge (15,744 ft/4,800 m). Lunch will be served there. 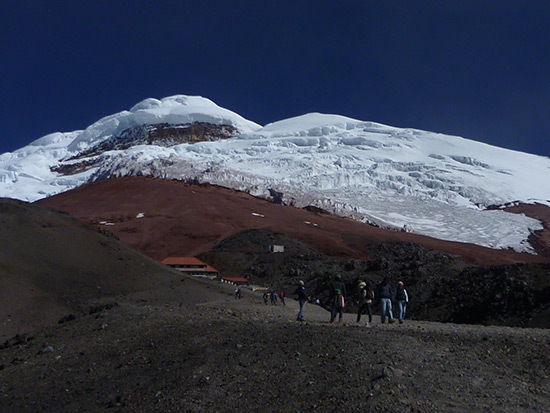 In the afternoon we’ll walk up for 1 more hour to the Whimper’s Hut (16,400 ft/5.000m) where we’ll have dinner and get some rest until 23h00, our wake up time. There will be an early light breakfast served just before getting ready with our gear and start heading up.